If you want to get pregnant, we are all you need to know. Understand how your body works & use it to take control. Vill du hjälpa andra med dina erfarenheter? Hur gick dina tankar och funderingar, innan din graviditet? MOON FERTILITY fokuserar på att hjälpa kvinnor att bli gravida. Vi är intresserade av att komma i kontakt med dig som har gått igenom samma resa. ALLA ERFARENHETER är viktiga för oss. Vi vill gärna intervjua dig och eventuellt din partner för att lära oss mer om hur vi kan hjälpa andra. Tryck på länken nedan och skriv in ditt förnamn och hur du vill bli kontaktad (ange t. ex. telefonnummer eller email etc) i rutan. 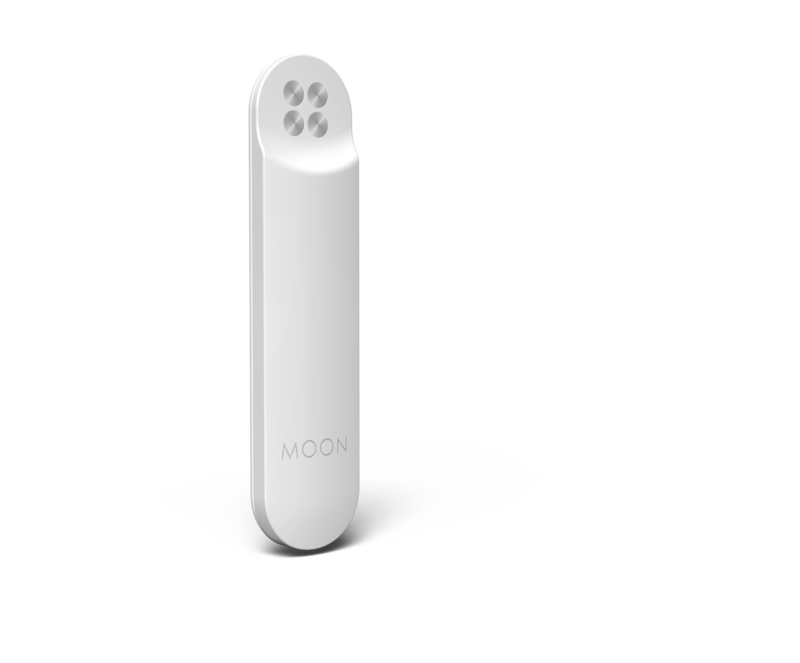 An advanced device that teaches you when you ovulate by measuring the salinity in your saliva. 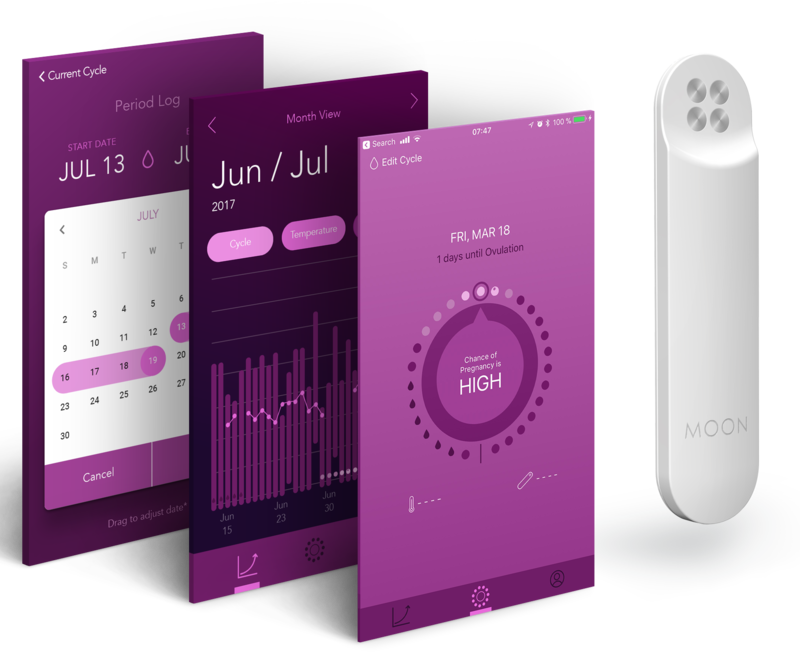 MOON Fertility technology makes it easy for you to forecast your best time for conception. 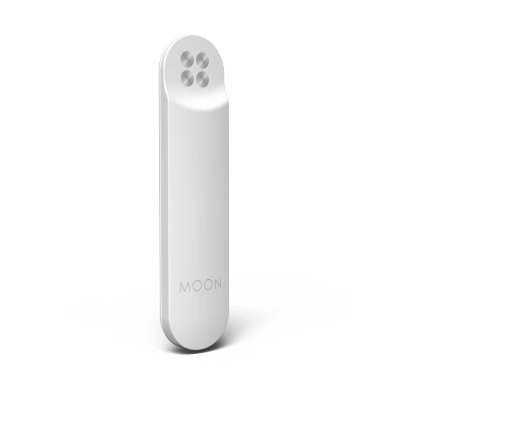 Our MOON Salinity sensor easily measures the salinity in your mouth, and with an unique App, you can see every detail of your vital information, whenever you want, in real time, and plan accordingly. Nothing else comes close. At MOON, we take the guesswork out of pregnancy planning. Made with ♥ in Gothenburg, Sweden (Designed & Produced). Wireless Syncing Your measurements are synced via Bluetooth to your iOS device. Long Lasting Battery Fully charged batteries last up to one month. Fast Measurements Saliva measurement is completed in 5-10 seconds. Get the guidance you need by downloading MOON Application. Download the MOON Application at Apple App Store, It will help you keep track of your cycles. Use the app as your personal logbook. Make notes and use the data to increase the chances to get pregnant. Betala med ditt kreditkort via Stripe. Genom att slutföra köpet blir du skyldig att betala för de varor du köpt. 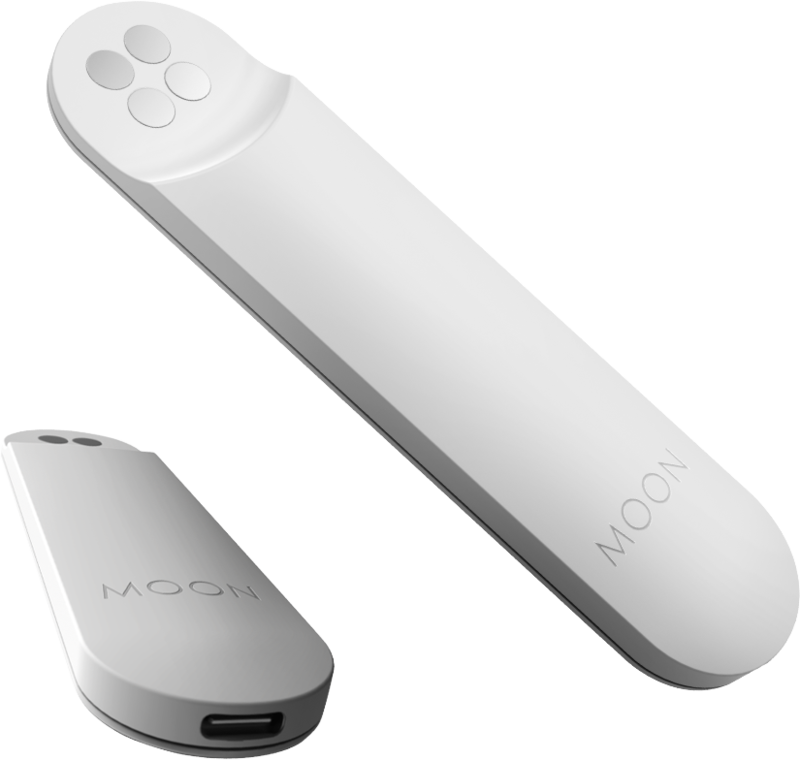 Please note that in order to be able to use the product MOON Salinity you must have an Apple iOS device with at least iOS 9 and download the MOON Fertility Application. This item is only shipped to SWEDEN. Contact us on info@moonfertility.com if you are dissatisfied with the products that you have purchased from the Web Shop. If you cannot come to a solution with our sales support that you are pleased with, you can turn to your local Board for Consumer Disputes (in Sweden, the Sweden National Board for Consumer Disputes (Allmänna reklamationsnämnden), address: The National Board for Consumer Disputes, P.O. Box 174, SE-101 23 Stockholm, Sweden) or to the European Commission’s online dispute resolution platform: http://ec.europa.eu/odr. We do not undertake to participate in alternative dispute resolution procedures, but will take a final position on this matter when applicable.